New to Ghostbikes, the Oxford Premium Adventure Hot Grips. Forget the cold and turn up the heat with the Oxford Hot Grips range, offering all bikers warmth and comfort this winter. With superior performance and reliability, these ergonomically engineered grips give you 5 heat settings and huge specification but still remain easy to fit and easy to use. The Intelligent Heat Controller also provides you with raised and tactile silicone buttons for use with gloved hands and an intelligent battery saving mode that turns the Hot Grips off, even when you forget to do so! The Oxford Premium Adventure Hot Grips are ideal for the enduro off-road rider. Their square tread pattern provides wear resistance and vibration absorbtion, giving you grip and control together with the luxury of warm hands. 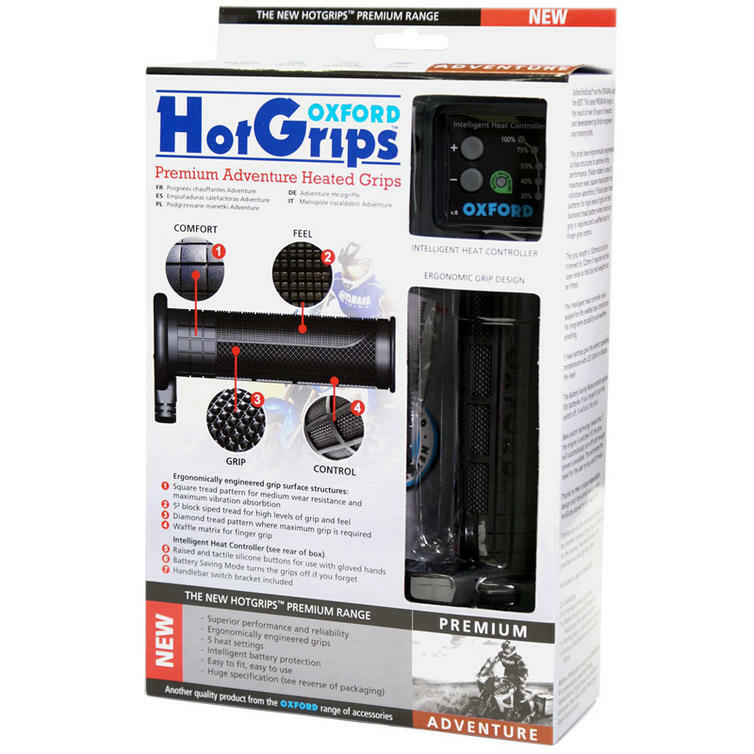 Make sure you get your Oxford Hot Grips before the weather gets cold, get yours from Ghostbikes today! Ghost Bikes now stock a full range of Oxford Motorcycle Clothing and Accessories Please click here to see what's currently available. 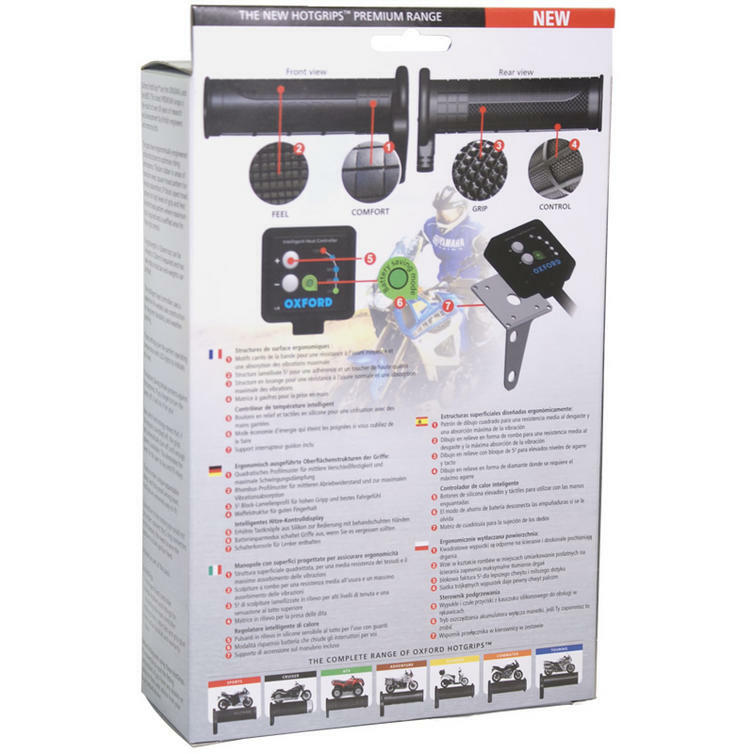 The Oxford Premium Adventure Motorcycle Heated Grips are currently available in the colours shown in the product variation above, if there is no variation option, it will be available in the colours as shown in the pictures above.